K Street between Front and 2nd. November 21 thru December 24: 10th Anniversary holiday event! Clement Clarke Moore’s classic Christmas poem will come to spectacular life from Thanksgiving to Christmas Eve on the balconies and facades of the Old Sacramento Waterfront at K Street and Front. 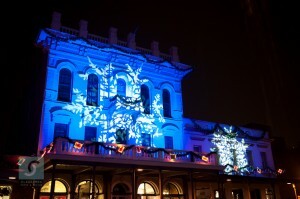 The ninth annual Theatre of Lights is a free holiday program presented by the Old Sacramento Waterfront Department of the Downtown Sacramento Partnership in cooperation with Downtown Sacramento Foundation (DSF), the City of Sacramento and Old Sacramento Waterfront merchants. The event will return right after the Annual Tree Lighting on November 21st, 2018. The live-action retelling of Moore’s 1823 poem — “A Visit from St. Nicholas,” more popularly known as “‘Twas the Night Before Christmas” — promises to be bigger and better than ever. Conceived and created by Stage Nine Exhibitions’ Troy Carlson, the Theatre of Lights will bring together some of California’s finest talents in the field of light and sound: Sacramento Theatrical Lighting, Associated Sound and Skywalker Sound, and Emmy-nominated voice actor Bill Farmer, the voice of Disney’s Goofy. Visitors in Old Sacramento Waterfront can view the production from the center of K Street as the story is performed from the balconies of the buildings around them. Discover how early pioneers experienced the calamities — and revelry — that befell the new city in the 1850s, the sounds of the fires, floods and parties will surround the audience as the 150-year-old building facades light up with color. The highlight of the 20-minute production is a live dramatization of “’Twas the Night Before Christmas,” on the balconies above K Street, complete with a special appearance by Jack Frost, and the lighting of the 60-foot Christmas tree by St. Nick himself. 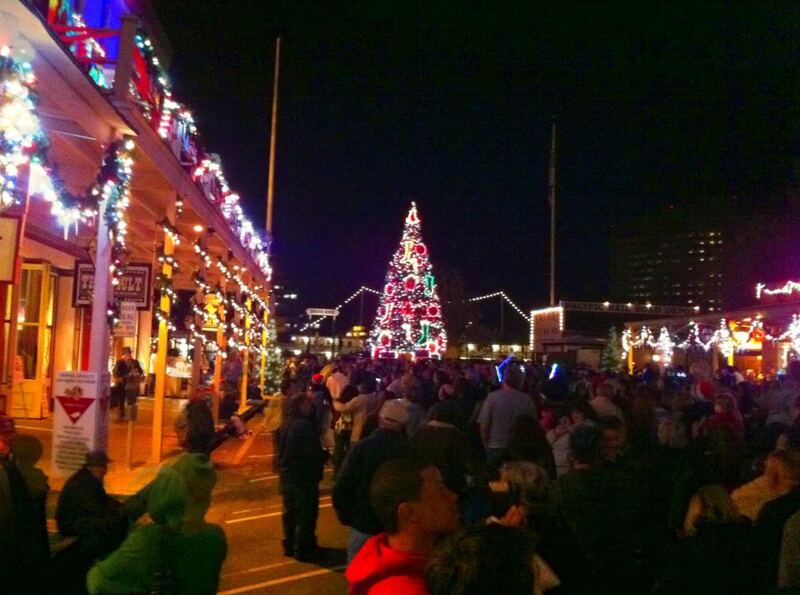 This year’s show will premiere the night before Thanksgiving with the grand lighting of the Christmas Tree at 6 p.m. 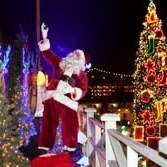 The event will include the premiere performance of this year’s Theatre of Lights at 6:15 p.m.
Theatre of Lights shows will continue throughout the holiday season, Thursday through Sunday nights.